The CTB-500 is the largest of it’s product line. You spend 30 minutes cleaning every 1000 hours of operation. It is uniquely designed for installation flexibility. 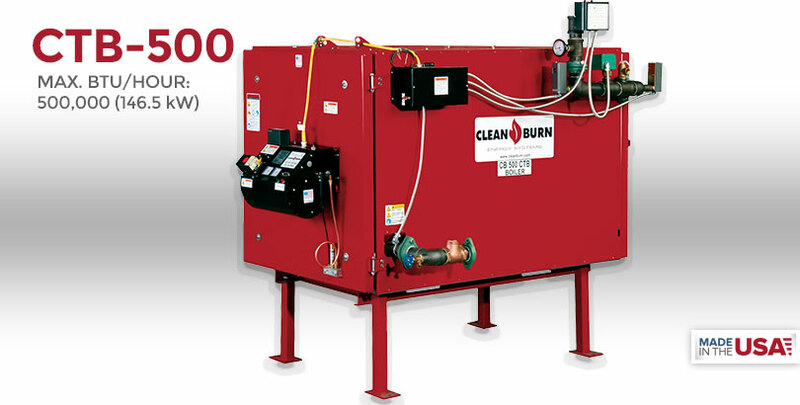 Engineered for use as a single boiler unit, or as part of a combination of CTB-500 boilers working as a larger system.